A new wave of lawsuits is being filed across the country under the Americans with Disabilities Act (ADA). The ADA is a federal law passed in 1990 requiring “reasonable accommodations” in “any place of public accommodation” to make them accessible to people with disabilities. Examples of ADA reasonable accommodations are wheelchair ramps and handrails. The new lawsuits allege that the Internet is a place of public accommodation. 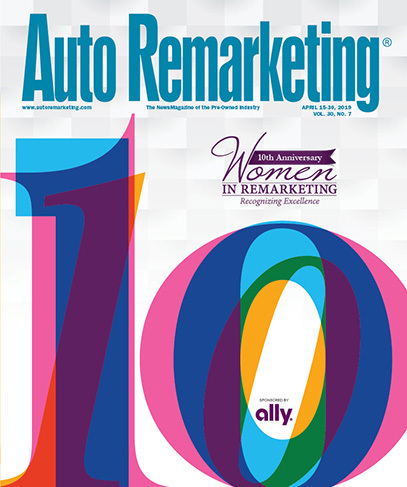 Accordingly, companies like auto dealers that use websites in connection with their physical stores must provide reasonable modifications in their website technology for people who are blind, deaf, or suffering from another disability that precludes them from being able to use the websites. In general, for a website to be reasonably accessible to disabled people, the hardware and content must be coded so that screen-reading software can convert the words to an audio translation. Video that appears on a website should include descriptions for the deaf. Also, all interactive functions must be operable through keyboard commands for people who can’t use a mouse. While there is no formal regulation on what these standards should consist of, there is a generally accepted industry standard series of guidelines developed by the World Wide Web Consortium. These are known as the Web Content Accessibility Guidelines version 2.1 (WCAG), to make websites more accessible to disabled people, and they are fairly complicated. Government websites already follow the WCAG, but private business websites are typically loaded with images and video making them more difficult to restructure to meet these guidelines, according to industry experts. The cost of making sites accessible ranges from several thousand dollars to a few million dollars, depending on the complexity of the site, according to trade groups and experts. The costs of defending the lawsuits and paying the plaintiffs’ attorneys fees (the real reason for the lawsuits) are also expensive. These lawsuits started over a decade ago but were temporarily stalled by the Obama administration’s Department of Justice, which was in the process of developing precise standards for making websites ADA-compliant. Four Advanced Notices of Proposed Rulemaking were issued on July 26, 2010. Presumably, these standards would have been less costly and complex than the WCAG and would have set a standard for legal compliance. Since then, numerous new lawsuits have been filed against many major retailers, especially in California. That may be because a California law sets a minimum dollar amount for damages of $4,000 plus attorney’s fees for each ADA violation, a minimum not imposed in most other states. In many states and under the ADA, only equitable relief may be sought. The minimum damages, according to lawyers who defend such lawsuits, makes suing in California more lucrative. More lawsuits were filed in federal court in the first six months of 2018 than in all of 2017. With legal action skyrocketing, the number of cases filed in 2017 was more than four times the 262 filed in 2016 and nearly 20 times the 57 seen in 2015. Moreover, businesses located in all but 12 states have fallen victim to website-related lawsuits and threats of suits, paying anywhere from $10,000 to over $90,000 to resolve the claims. One plaintiff recently sued 50 colleges claiming he uses a screen reader and experienced barriers when trying to access the colleges’ websites. Many lawyers specialize in bringing these suits against one specific industry like auto dealers. Filing large numbers of similarly worded ADA lawsuits against one type of business is sometimes referred to as “drive-by” litigation. This activity is widely seen as a means to get a quick settlement, rather than improve accessibility. The political world has taken notice as well. By a 225-195 vote, the U.S. House of Representatives passed legislation in February 2018 that would have substantially amended the ADA to force prospective plaintiffs to first provide written notice of noncompliance to public accommodations before filing suit. The proposed amendments to the ADA would then provide the company 60 days to come up with a plan to address the plaintiff’s concerns. Disability advocates are worried that the ADA Education and Reform Act would essentially gut the public accommodation provisions of the ADA; they would prefer to see frivolous “surf-by” lawsuits handled by local bar associations or judges. The legislation died in the U.S. Senate last term but is likely to be reintroduced. Unfortunately, there is no magic solution, and most fixes can be costly. The WCAG is not legislation, and it isn’t even a regulation issued by a government agency. It does seem to be the industry standard however, and most settlements of these cases have involved the defendant agreeing to reconfigure its website to comply with the WCAG. WCAG’s underlying goal is to establish websites that “POUR” — that is, sites that are perceivable, operable, understandable, and robust. A company’s IT department or contractor can run basic applications like the Web Accessibility Evaluation Tool, but these online apps are not foolproof. Moreover, some web designers have suggested that the WCAG standards are too difficult and expensive to implement. Many smaller website owners will prefer to try to fly under the radar until the federal government provides better guidance which may not be until the next administration. But more conservative businesses may find that retaining a reputable web designer to ensure full compliance with WCAG is the better way to go. Ultimately, everyone agrees that making the Internet more accessible to persons with disabilities is a worthy goal. Most dealers would prefer to accomplish this goal by involving fewer lawyers however. Randy Henrick is an auto dealer compliance expert who offers compliance consulting services to dealers at www.AutoDealerCompliance.net and can be reached at AutoDealerCompliance@gmail.com. He served for 12 years as Dealertrack’s lead regulatory and compliance attorney and wrote all of Dealertrack’s Compliance Guides. He has presented workshops at four NADA national conventions and speaks to dealer associations, 20 groups, and prepares training and other compliance materials for dealers. Because of the general nature of this article, it is not intended as legal or compliance advice to any person but raises issues you may want to discuss with your attorney or compliance professional. Contact him directly for advice on this or any other sales or F&I issue affecting your business. An F&I provider that’s been in business for more than 30 years has new ownership. Kingsway Financial Services on Tuesday announced it has closed on its acquisition of Geminus Holding Co., a specialty, full-service provider of vehicle service contracts and other F&I products to used-vehicle buyers around the country. Geminus, headquartered in Wilkes-Barre, Pa., has been creating, marketing and administering VSCs and F&I products on high-mileage used vehicles through its subsidiaries — Penn Warranty Corp., and Prime Auto Care — since 1988. Penn and Prime distribute these products via both independent and franchised dealerships. “As previously communicated, a key component of our business strategy is to actively pursue compelling warranty company acquisitions. We are delighted to add Penn and Prime to our growing portfolio of businesses in the extended warranty industry," Kingsway Financial Services president and chief executive officer John Fitzgerald said in a news release. Interest rates continue to increase the cost of buying a vehicle. Dealers and finance companies are well aware of concerns about affordability, consumer access to credit and softening new-vehicle sales. Because of that, dealers and finance companies are exploring new methods to make the auto financing process more efficient to save time and money. Working to help ease concerns with that process, DealerTrack notes that the payoff and title release process is a main area in which money might slip through the cracks. The company highlighted that its Accelerated Title product can provide the ability to reduce payoff and title release from what it says is an industry standard of 12 to 18 or more days to as few as four to six days. Finance companies spend approximately $20 to $25 per title released on back of the title lifecycle labor costs such as overnight postage, short-pay write-offs and over-pay refunds, according to DealerTrack data. All of those costs mean a finance company that releases 40,000 annual titles incurs almost $1 million in costs. The company says outdated tools, manual procedures and slow workflows are the reason for those costs. How can lenders and dealers overcome those costs? By working closely with their third-party technology providers to build partnerships, make more of their processes digital and make workflows connect better for greater accuracy and speed. Obtaining a payoff quote, handwriting and mailing checks overnight, and then waiting for delivery of title is a time-intensive process. The undesirable result? It can often mean incorrect payoffs, delays in title receipt and high processing costs. DealerTrack notes that its Accelerated Title product can effectively speed up the funding “lifecycle” by as much as 70 percent. Dealertrack notes that Accelerated Title is one of its lender products that help lenders improve efficiency while strengthening dealer relationships. Accelerated Title features more than 40 lenders, which the company notes gives dealers more control over their transactions. Dealertrack states that the fully electronic process can provide finance companies with title tracking and reporting 24 hours per day, seven days a week. GWC Warranty is opening 2019 with a reinforced staff to highlight its used-vehicle service contracts sold through dealers. The company recently announced the addition of Andrew Huber as its new product strategy manager. As a member of the marketing department, Huber will be responsible for managing GWC’s suite of products while evaluating new opportunities for innovative product enhancements, all in an effort to ensure GWC Warranty’s products are effectively meeting the needs of its automotive industry partners. Prior to joining GWC Warranty, Huber held several progressive positions in product management with companies such as The Home Depot, Harland Clarke and Georgia’s Own Credit Union. In other company news, GWC Warranty recently completed a year of charitable activities in support of local causes in northeastern Pennsylvania. “Two of GWC Warranty’s core values are Fair and Friendly, and it warms our hearts to see our employees live these honorable traits out in our communities,” said Jeanette Bogdon, vice president of human resources for GWC Warranty and APCO Holdings. “We are proud to call northeastern Pennsylvania home and these charitable activities throughout the year serve as our way of giving back and showing our appreciation to the communities in which we live and work,” Bogdon went on to say. According to the newest update from the Federal Trade Commission, checks literally are in the mail for customers of a California dealer group that settled with the regulator last year. The FTC said it is mailing 43,456 checks totaling more than $3.5 million to consumers subjected to deceptive and unfair sales and financing tactics by the Sage Auto Group and its owners between 2014 and 2016. Officials indicated affected consumers will receive their checks soon with the average refund amount totaling $81.76. In September 2016, the FTC charged nine Los Angeles-area dealerships and their owners with using a wide range of deceptive and unfair sales and financing practices. The FTC’s action, filed in the U.S. District Court for the Central District of California, sought to end these practices and return money to consumers. The regulator explained the action against the Sage Auto Group defendants was the FTC’s first to charge a dealer for “yo-yo” financing tactics: using deception or other unlawful pressure tactics to coerce consumers who have signed contracts into later accepting a different deal. The FTC also alleged that the defendants packed extra, unauthorized charges for “add-ons,” or aftermarket products and services, into contracts financed for consumers. In addition to barring the allegedly illegal conduct, the March 2017 order settling the FTC’s charges required the defendants to pay approximately $3.6 million for return to affected consumers. The FTC added recipients should deposit or cash checks within 60 days, as indicated on the check. “The FTC never requires consumers to pay money or provide account information to cash a refund check,” officials said, noting that impacted consumers will receive a percentage of their total add-on costs for vehicles they bought.